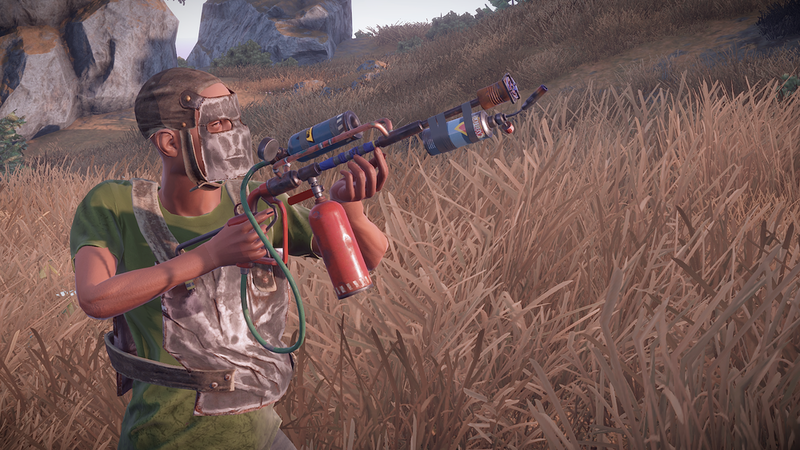 4/15 @ 5:00pm EST - A quick patch hit a little while ago to fix the OP fire damage dealt by the flamethrower. Servers will have to update for this change to take effect. 4:10pm EST - The devblog and update are live! 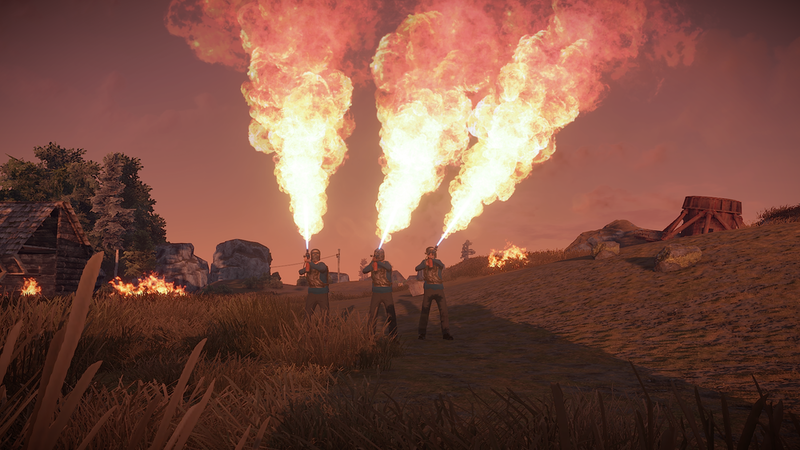 10:58am EST - It is update day and pyromaniacs are in for a treat: Flamethrowers are in! 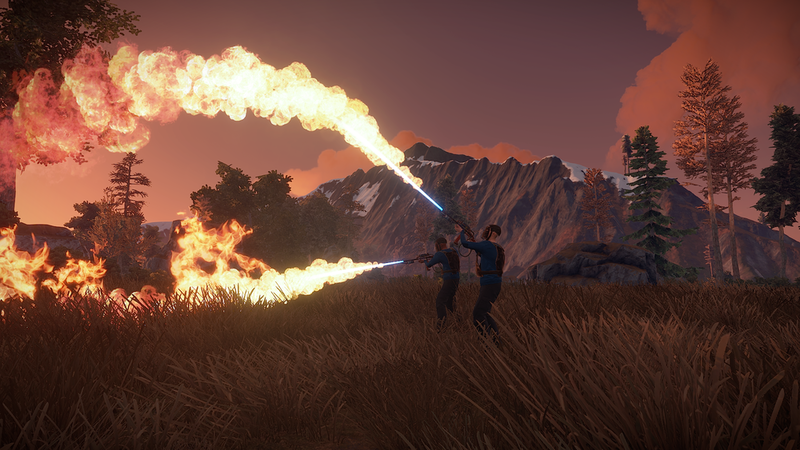 We also have some new ways of extinguishing fire along with some FPS improvements (hopefully). 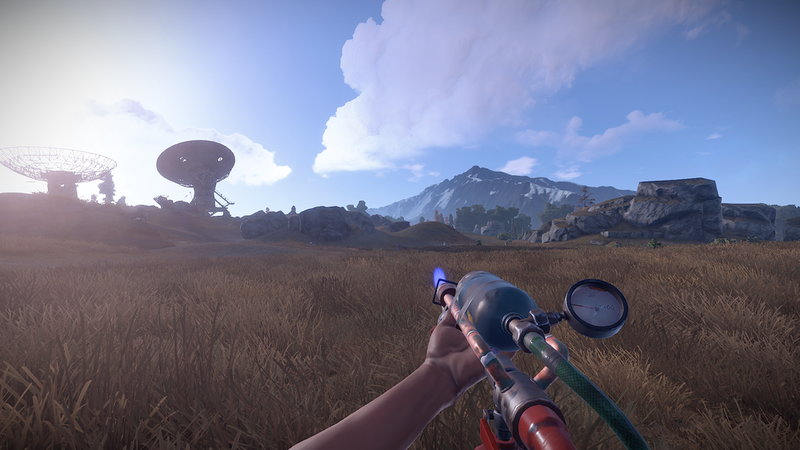 This update will not force a wipe, however, some servers may choose to wipe anyway. 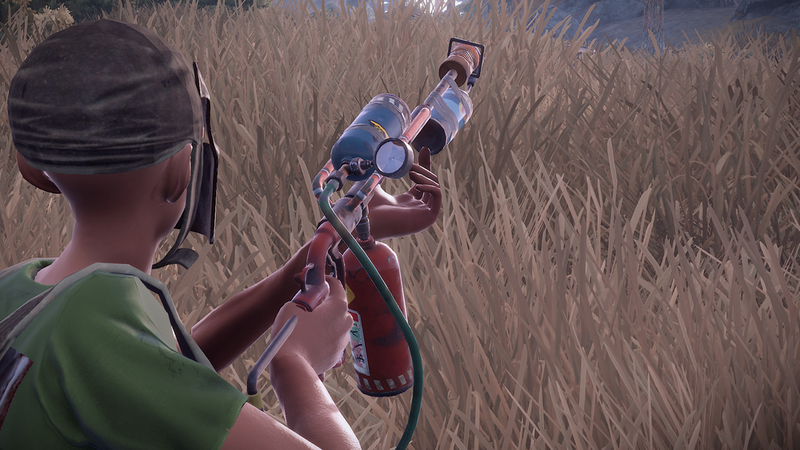 Setting your enemies ablaze and scorching everything they love dear just became possible - Helk has added the flamethrower! Fueled by (you guessed it) low grade fuel, this fire breathing beast spits flames several meters. 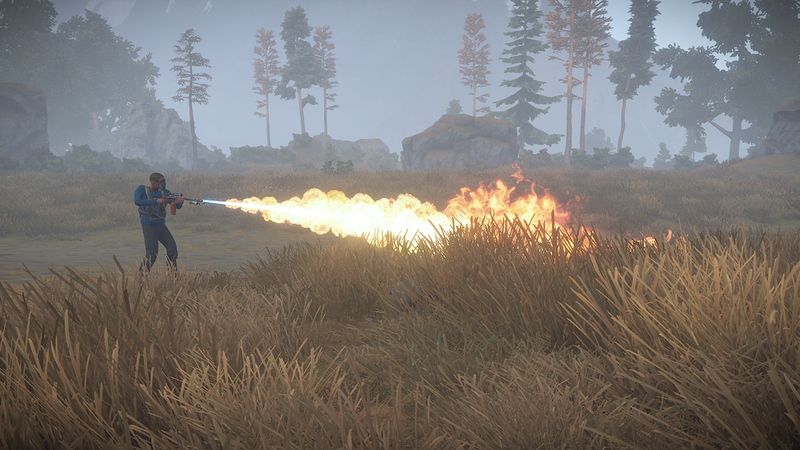 A new tool in the Rust raiding arsenal, the flamethrower does damage against wood and stone (including stone exterior walls). Your best bet for doing damage is to conserve fuel by lighting small fires near the building. Let them run out, then light again. The more fires burning, the more damage dealt per second. The reload animation looks great, the fuel gauge works, and the pilot light can be toggled on and off with right click (even though it isn't required to discharge flames). Keep in mind, as with any new functionality, there will be some bugs and balance needed. Edited to account for stone wall damage added this afternoon. A special thanks to my Rusty models: Errn (RustyMoose), KalypsoPuppy (BoondockOxide), and Jake (jRust). With this new form of fire creation comes ways to put fire out. Water buckets and barrels have been added, and they do exactly what you’d expect: store and spread water. For more on these, check out my article from yesterday. More progress on the XP system (expected to hit May 5th). 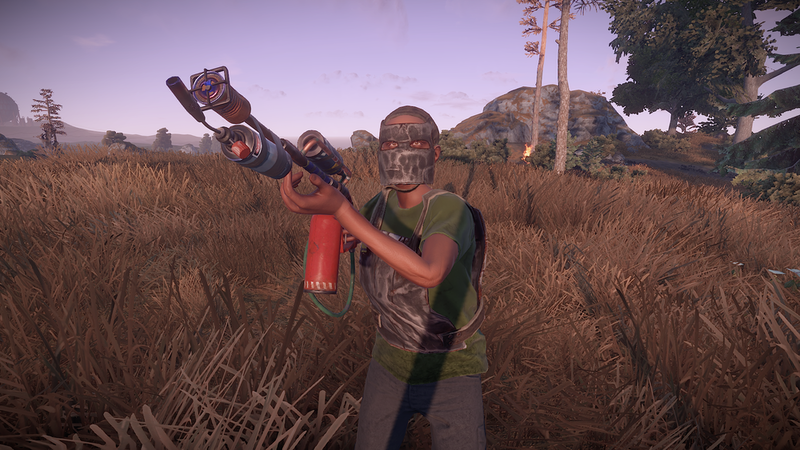 See devblog for more details on this.